VietNamNet Bridge – A total of VND35.3 trillion of corporate income tax has been exempted for foreign-invested enterprises (FIEs), according to the Ministry of Finance. The ministry said that by 2016, the total value of tax incentives and revenue from land use in all economic sectors had reached VND64.278 trillion, or nearly $3 billion. This includes VND46.829 trillion worth of incentives in corporate income tax (CIT), VND394.9 billion in personal income tax, VND7.875 trillion in land and water surface leasing fees and VND3.802 trillion in land use fees. By 2016, the total value of tax incentives and revenue from land use in all economic sectors had reached VND64.278 trillion, or nearly $3 billion. The Ministry of Finance (MOF), while admitting that tax incentives help attract investment and encourage production, said that the impact of incentives on resource allocation remains modest. Vietnam wants to attract investment into remote areas, but the number of registered projects in the areas just accounts for 4 percent of total projects. Meanwhile, the investment in Vietnam’s advantageous fields including agriculture, fisheries and forestry is small. Foreign investors mostly pour capital into highly profitable business fields such as manufacturing, IT and processing. Most industrial zones and hi-tech parks offer incentives to foreign investors. Up to 30 business fields can enjoy preferential CIT, while the projects in 54 of 63 cities and provinces enjoy preferences. Most of the enterprises eligible for preferences are FIEs, not Vietnamese enterprises. By the end of October, foreign investors had invested $168 billion into IZs and EZs, while Vietnamese had invested $80 billion. MOF pointed out that there is unfairness in treating enterprises in EZs and enterprises in the same cities and provinces outside EZs. Vietnamese businesses complain they are at a disadvantage compared with FIEs. Nguyen Anh Ket, CEO of Thanh Ha JSC, specializing in making bioproducts for agriculture, said it is difficult for Vietnamese enterprises to expand business and lease land because of complicated procedures. It appears to be simpler for FIEs. An analyst confirmed that it takes Vietnamese enterprises many months to fulfill procedures. Meanwhile, agencies and local authorities create favorable conditions for FIEs and offer them big incentives. “FIEs can enjoy import tax exemptions for import equipment and materials. If they take losses, they can carry forward the loss into following years and the loss is deducted from taxable income. 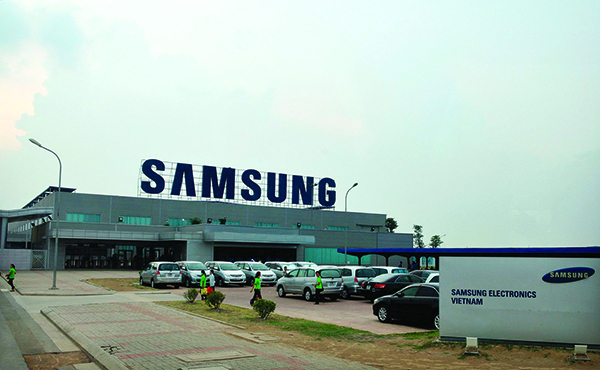 These things are just a dream for Vietnamese enterprises,” he said.